There is nothing exciting to say today ... but I feel the need to tell you that anyway, since I wouldn't want you all waiting around in anticipation and then ending up disappointed. So right up front, to get it out of the way and in Bean's best business-ism, to manage expectations effectively, I'm warning you: Nothing exciting has happened since my last post. Feel free to stop reading here ;) Kidding! Last night, after only leaving work at (far too late for my liking!) 7pm, although I did squeeze in a little gym-time. We were dealing with these annoying post-implementation issues - at least we ironed out the last minor issue and were allowed to head home. Alas for me, I am on standby this week. Which means I had to babysit the new project all night. So most of my evening was spent online with my pathetic 3G 1-bar connection. Oh, how slow can one bit go ? But, all went smoothly and I slept like the dead once I hit the pillow - I think it was the night before's lack of sleep & my recent gym-session that sealed the deal! Oh, luckily I have remembered something I needed to post about ... 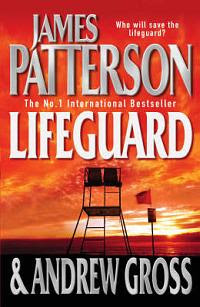 I finished James Patterson & Andrew Gross's Lifeguard on the weekend. It was alright and quite a quick read. Loulou says James Patterson's book s are usually quite good and I'll give him another read before disagreeing altogether. This isn't the sort of book I usually read, now I remember why, but it was part of my book club selection and I'm open to pretty much reading anything with words ;) It had some fairly predictable bits and some that were just truly unbelievable. It's probably best recommended as a quick holiday read to keep you busy while lazing in the sun!